The prototype of a J-31 Falcon Eagle, China’s second stealth fighter jet that performed its maiden flight on Oct 31, 2012, can be (barely) seen in this video most probably recorded near Shenyang Aircraft Corporation facility in February 2013. 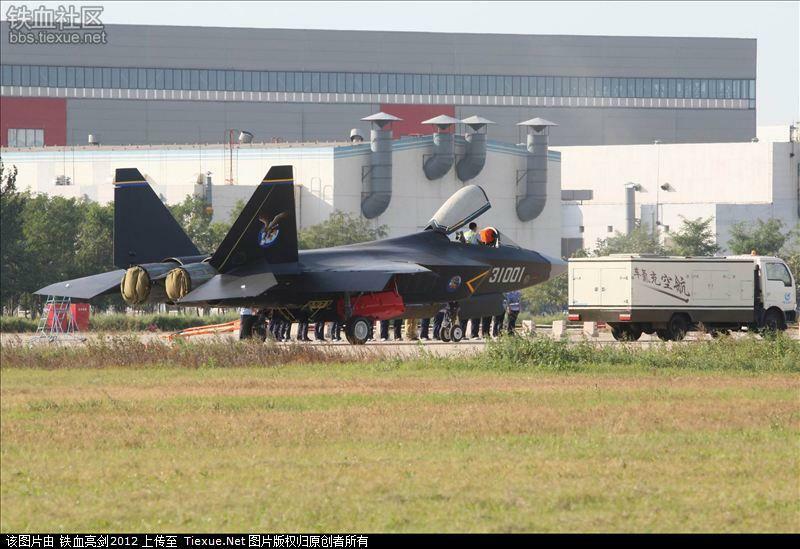 Whereas a number of images have emerged from the Chinese Internet, there are not many videos around featuring the new J-31; the majority of them are just a montage of several images. The aircraft (a merge between an F-22 Raptor and the F-35 Lightning II) is believed to be a carrier variant, destined to China’s future aircraft carriers.